BD 50/70 R Classic Fleet Bp Pack 11610730 https://www.kaercher.com/tn/professional/floor-scrubbers-scrubber-dryers/scrubber-driers/ride-on-scrubber-driers/bd-50-70-r-classic-fleet-bp-pack-11610730.html Battery-operated ride-on scrubber drier BD 50/70 R Bp Pack Fleet Classic. Equipped with a connection to the Kärcher fleet management system as well as an integrated brush head as standard. Battery-operated ride-on scrubber drier BD 50/70 R Bp Pack Fleet Classic. Equipped with a connection to the Kärcher fleet management system as well as an integrated brush head as standard. 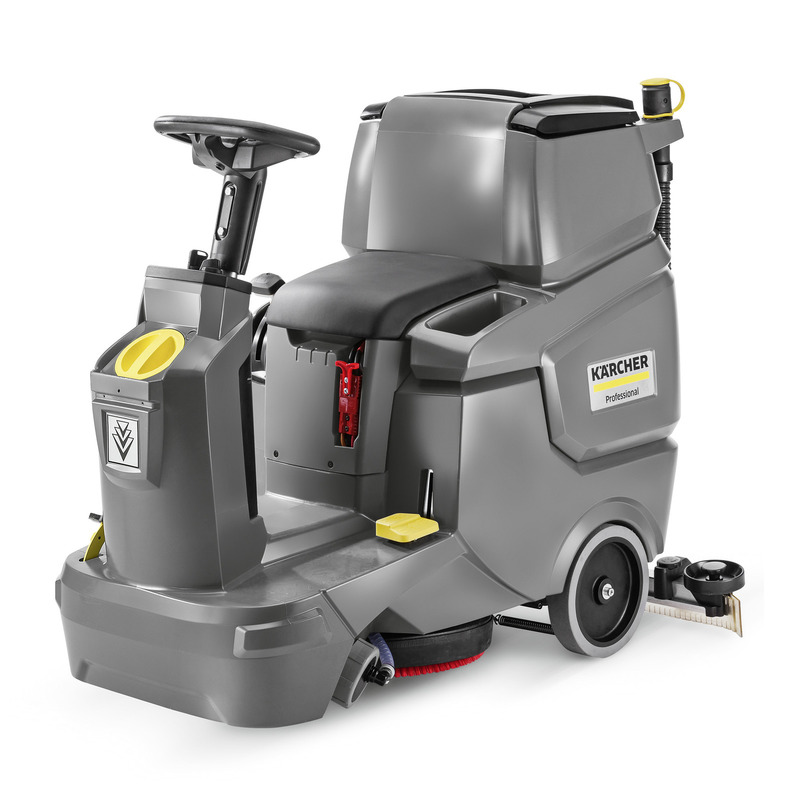 Powered by 2 powerful 105 Ah batteries, which together with the appropriate battery charger are also included in the scope of supply, our ride-on scrubber drier BD 50/70 R Bp Pack Fleet Classic is positioned as a low-priced entry-level model with many benefits. Narrow and compact in design, easy to operate thanks to colour-coded operating elements and equipped with both innovative and useful details, the machine is a real alternative to walk-behind machines. The fleet management module Kärcher Fleet ensures transparency at all times in terms of work deployments and utilisation of the machine, whereas the Home Base makes possible the uncomplicated carrying of other cleaning utensils. Other accessories such as a pre-sweep mop or a bin liner container are available as options.